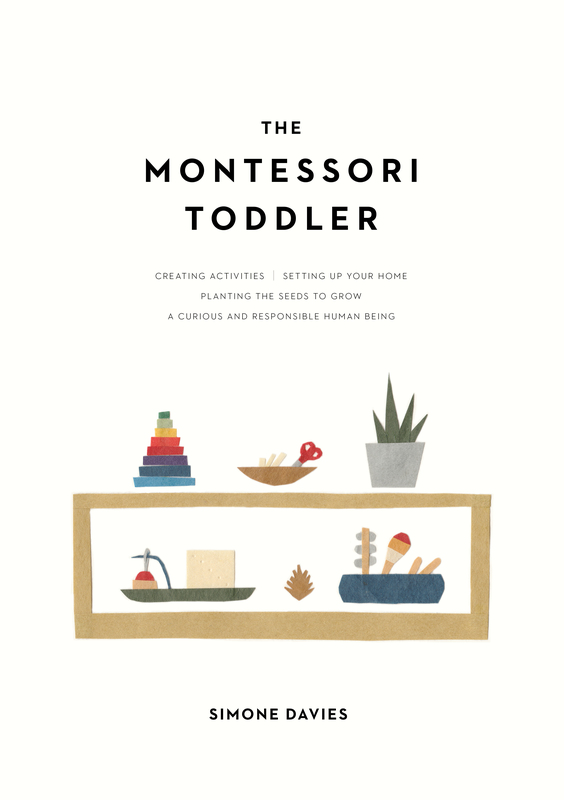 If you’ve been following this blog for a while, you know that for me Montessori is not just about the activities or spaces. It’s about how we live with our families. Often this means living slow, allowing children time to explore, discover and be curious, and to just be. 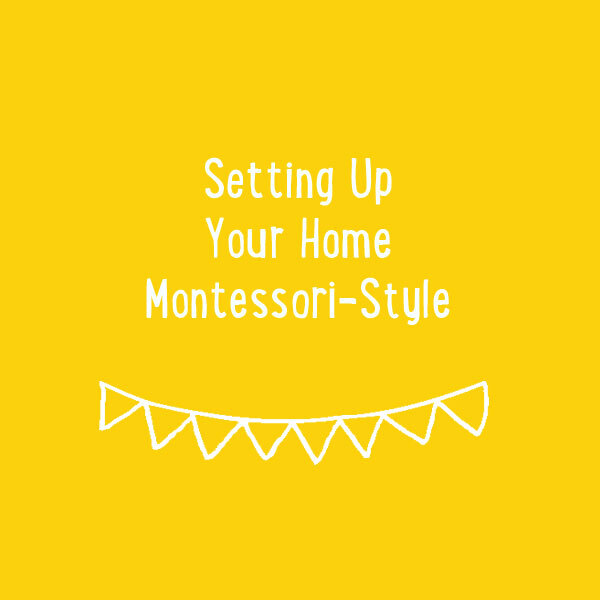 So today I am excited to start a new series following families around the globe showing how they put Montessori into practice in their daily lives. And what better way than to get to peek inside their homes for a day. I love getting to see into people’s lives and being inspired by them. The kids wake up one by one, and we start they day with a little snuggle time. Sage is still nursing, so that is part of our morning routine, too. Then we make breakfast together. When it comes to kids in the kitchen in our house, it happens most consistently for breakfast time. Oatmeal with fruit and maple syrup is their favourite meal to eat and make, but pancake-flipping is a close second! After breakfast, there might be some Lego building or outdoor play time, or packing up a school lunch, and clean up from breakfast. Most days my husband David works from home, and so this is his time to make coffee and prepare for his day ahead. We have a simple, handmade calendar (inspired by this one, but ours moves left to right) that shows the days of the week as coloured columns, and I move a clothespin along the bottom to designate each day. It seems to really help both children to feel in-tune with the week’s rhythm. 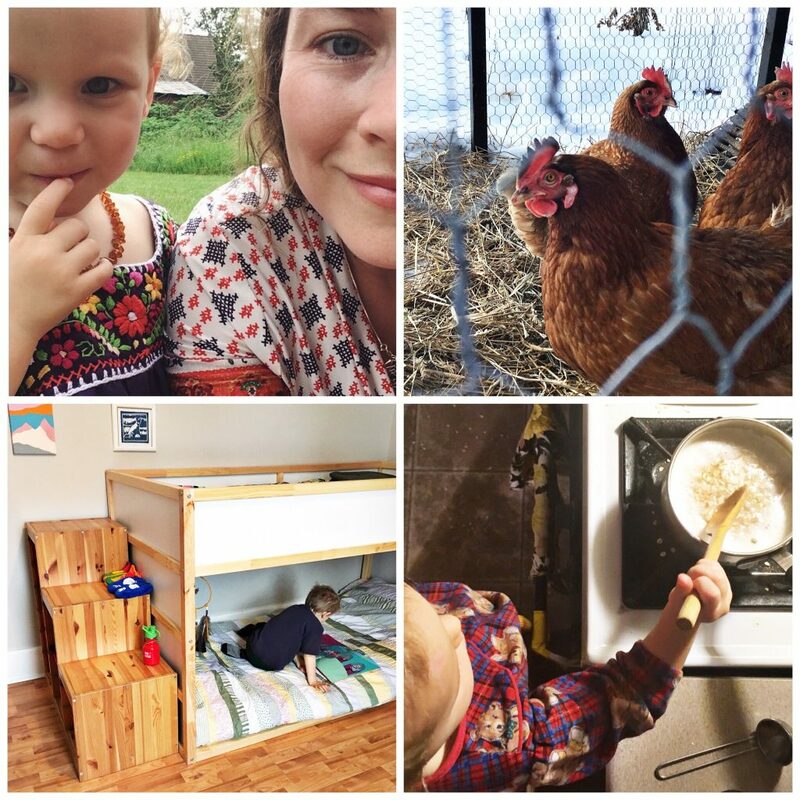 Most mornings, either Jasper or Sage will go to their Montessori casa program. 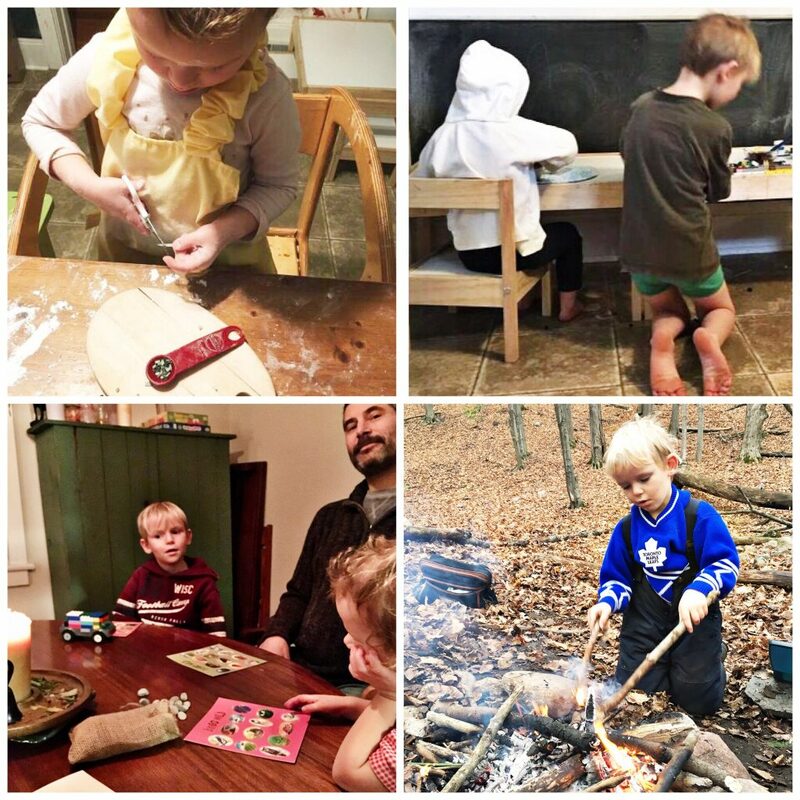 We live in a small, rural community and our two kids share a Montessori class, going on different days in order to give each sibling their own space. Alternate morning activities for Sage might include Milkweed Montessori morning program, or visiting my sister’s house to spend the morning with her younger cousin. 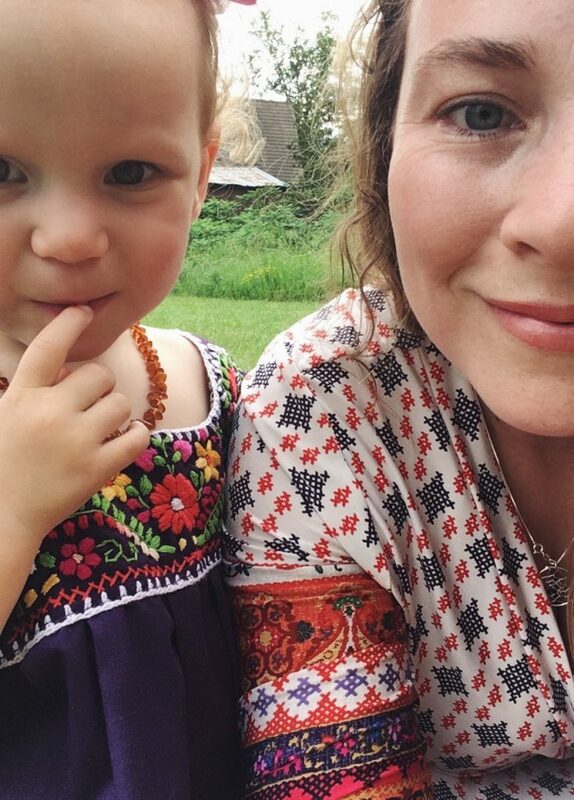 For Jasper, he might have a morning at home with me which we spend reading, exploring in nature and working on bigger projects or with my mom, where they often work on art projects or run errands together. We are blessed to live close to my family, and we have a lot of support and interaction with them throughout our days. Lunch is often pretty simple – leftovers or Sage’s favourite: sliced meat with cheese and pickles. Often we’ll eat snacks, tea, or lunch, together at the child-sized table in our kitchen. Sage still usually naps, so there will be a lull in the early afternoon where the house is quiet, where the rest of us might read aloud, pick up a paint brush or I might get some work done on the computer. 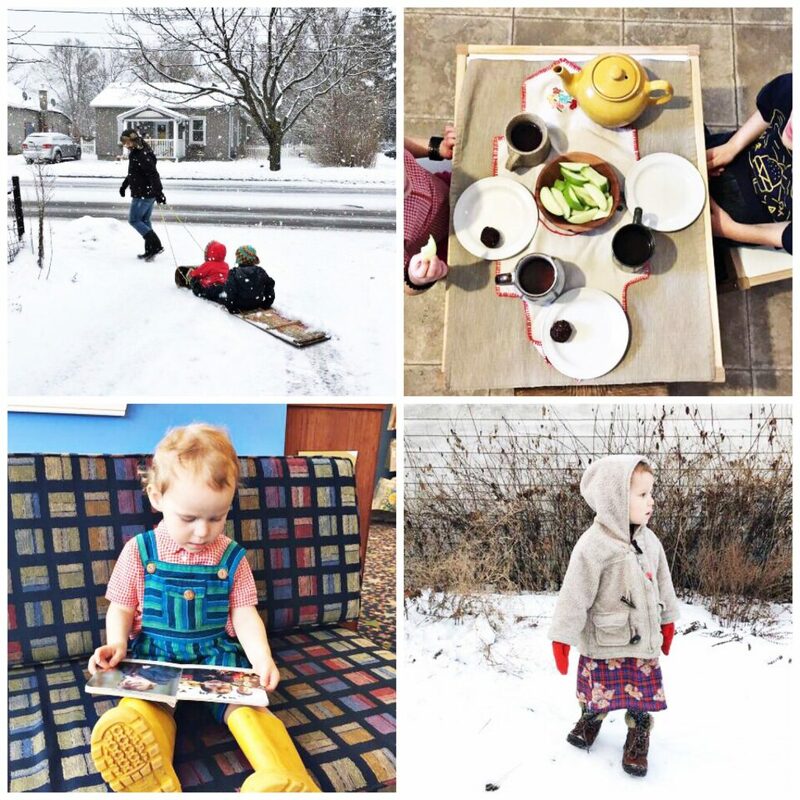 After that, we might take a trip to our local library, a favourite destination to do a long slow walk to; or for practical reasons, we might head to the grocery store to re-stock the cupboards. I’ve recently found that bringing a re-usable shopping bag for each child to pack and carry at the end of the trip helps to make that stressful squeeze of getting out of the store a little more spacious, as the kids take pride in their work and I’ve got a little less to carry! We live on the north shore of one of the Great Lakes, so if it’s not too windy, we like to make all-season treks down to the nearby beach. In the late afternoon, David makes popcorn on the stove, and the children next door come home from school so there is often outdoor play time or really big fort building. From what I overhear and observe, this time is important downtime and decompression for all of the children. And for us parents, too! During this time I’ll make dinner, often listening to a podcast and relishing a bit of alone time. David joins us for dinner after his work day, and the evenings seem to pass pretty quickly. If there’s time, we might play a board game or have a family movie night, and then it’s bath and bedtime. David is usually the one to read or tell the bedtime stories, and his lullabies are the reason our kids know the lyrics to Bob Dylan and Paul Simon songs. I’m a morning person, but I treasure the early evenings as a quiet time to recharge and have some adult time. Thank you so much Meghan for sharing your daily rhythm with us. You had me at the picture of the chickens. Mmm, freshly laid eggs waiting to be collected.